Love Page Turning Romance? Books you can share with friends and family? 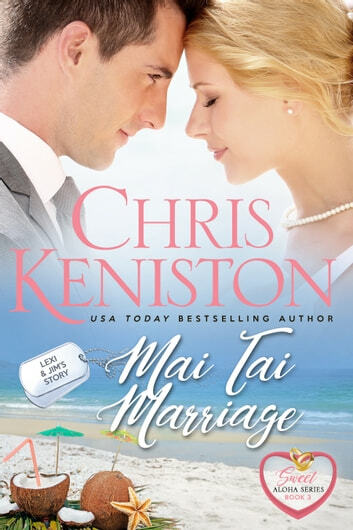 Then sit back, kick off your shoes and prepare to fall in love with the newly edited just for you Aloha Sweet Romance Series from USA TODAY Bestselling Author Chris Keniston. First you need one sailor in dress whites. Couple him with a beautiful, feisty shop manager. Don't forget the runaway bride. Add a little orange liqueur, a splash of coconut rum and a pineapple spear just for fun. Stir in one accidental marriage. And you have the perfectly concocted Mai Tai Marriage. 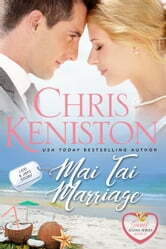 Note: This story was originally published as a mainstream contemporary romance under the similar title Mai Tai Marriage and is still available to purchase for those who prefer the original spicier version. Not sure which is the Closed Door version of the Aloha series? Look for the Heart Logo at the bottom right hand corner of the new edition covers. An amazing book from Chris!! I love visiting Hawaii in this series, learning about diving, and spending my day with the friends and family from Kona. This book had lots of humour and I loved reading Lexie and Jim's story. I know you'll enjoy it as much as I did. I received an advanced reading copy. I definitely recommend this book and can't wait to read more about the people I've come to love in the Aloha series.